I recently received a new Panasonic Lumix DMC-GF2 to play with. This is an update to the very popular Lumix GF1. Improvements include a smaller size, ISO to 6,400 and full AVCHD videos. The GF2 is a 12 Megapixel Micro Four-Thirds Interchangeable Lens Digital Camera. It’s basically a DSLR in a compact sized camera. 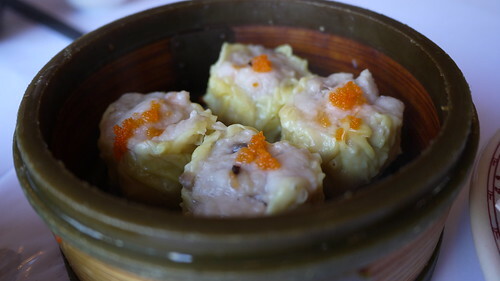 With its fast 14mm F2.5 Prime lens, it’s also the ideal food review camera and there’s no better way to test that out than by having dim sum at Ocean City Restaurant. Located in the heart of Chinatown (International District) in Seattle, Ocean City is really two restaurants in one. The door to the left opens to a Hong Kong style noodle house. The door to the right opens to a dim sum restaurant by day and Chinese seafood restaurant by night. 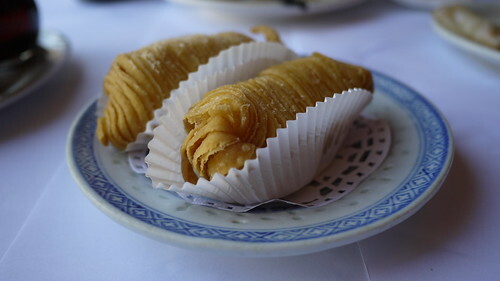 Dim sum is a Cantonese term for a type of Chinese dish that involves small individual portions of food, usually served in a small steamer basket or on a small plate. 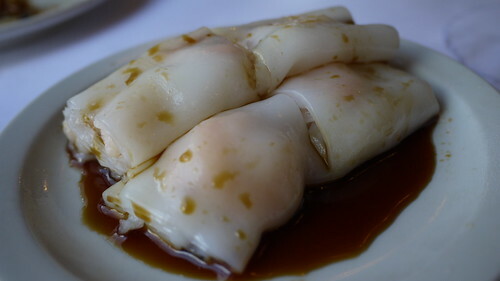 Going for dim sum is usually known in Cantonese as going to “drink tea” (yum cha, é£²èŒ¶). 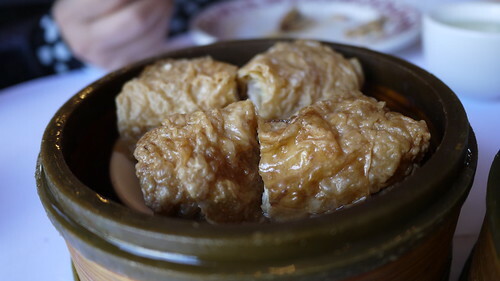 Dim sum has its roots in travellers on the ancient Silk Road needing a place to rest. Teahouses were established along the roadside. Rural farmers, exhausted after working hard in the fields, would go to teahouses for a relaxing afternoon of tea. 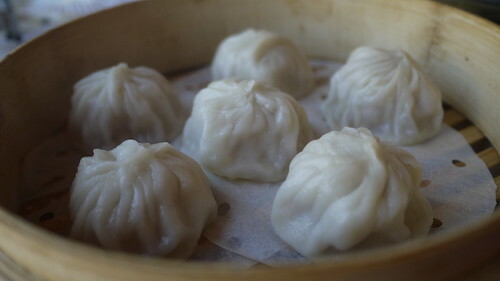 Ocean City dim sum includes various types of steamed buns such as cha siu baau, dumplings and rice noodle rolls call cheong fun, which contain a range of ingredients, including beef, chicken, pork, prawns and vegetarian options. 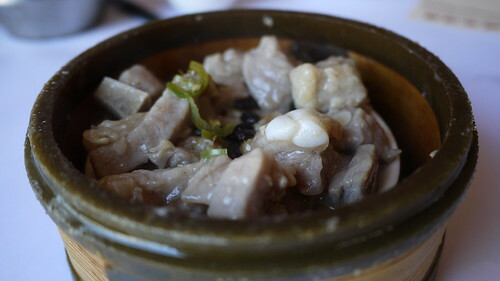 Also available are plates of steamed green vegetables, roasted meats, congee porridge and other soups. Most people do dim sum for the meeting with friends and family than for the food. Don’t get me wrong, the dim sum at Ocean City is first class and as close to Hong Kong as you’ll find. However, dim sum requires a minimum of two people to do. The more people you have, the better it is because you’ll get to sample many tasty dishes. And believe me, you’ll want to try as many dishes as possible at Ocean City. 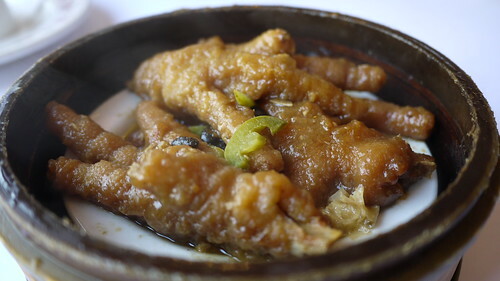 Below are some dim sum photos I took with the Panasonic GF2 (full size images here). This is my new blogging camera and will replace both the Canon SD980 and HF S100. Look for a complete review soon.